SKU: 6810380 Categories: Face Care, Face Care, Popular. 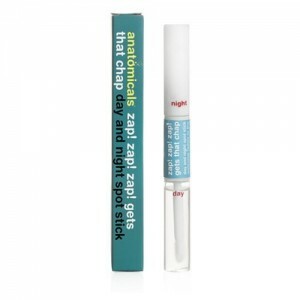 Tags: €10 & under, €5 & under, anatomicals, Anatomicals Zap zap zap gets that Chap Spot Stick, black heads, spot stick, spots, white heads, witch hazel, zap zap zap, zits. Holy Cosmic Pus Blasters Batman, it’s the beautiful Spotgirl with her magical wand of bacteria busting night and day treatment. She’s more than a match for the evil Professor Pimple and his bag of date disaster tricks”. “You’re so right Robin, I might just ask her out myself”. “Too late my bat winged friend, watch out, here comes a Spiderman to sweep her off her feet”. “Damn that Spidey”. Don’t you hate it when that zit suddenly pops out. doesn’t it remind you of your boss at work and how you would like to blast him away? him and his mental illusions? well this will not get rid of your boss any day soon but it will blast away those pesky spots and zits. zap zap zap gets that chap. 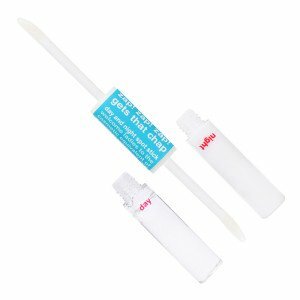 Day and Night Spot Stick for Zits and Dots. This little double ended product is a hero, it has a day time formula and an evening formula to work on the spots all day long. The key ingredients are tea tree oil and witch hazel. Welcome ladies to zap zap zap gets that chap, the cosmetic equivalent of a nuclear warhead. It’ll blast your (Communist red) spot into oblivion. And the fallout? Why a hot date with the chap of your dreams because zap zap zap gets that chap. Apply the day or night end directly to the spot as needed.